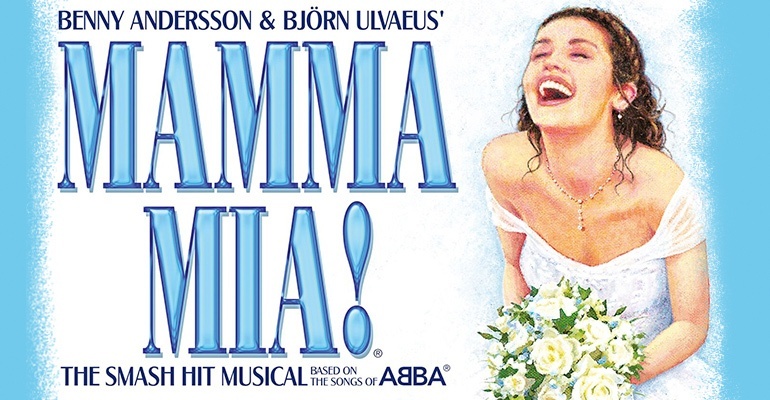 "THANK YOU FOR THE MUSIC, INDEED"
"An evening of unbridled fun"
Mamma Mia! is a much-loved, jukebox musical that features a huge selection of ABBA's greatest hits, as well as a hilarious, original book written by British playwright Catherine Johnson. It has run at the Novello Theatre since 2012. The story follows Sophie and her mother Donna, who live on the small Greek island of Kalokairi, as they are preparing for Sophie's wedding to her fiancé, Sky. Sophie never knew her father, but wants him to walk her down the aisle so she’s determined to find him. What Donna does not know is that Sophie has snooped through her dairy and invited all three of the men who are Sophie’s potential fathers. With equally hilarious, disastrous and heart-warming results, Mamma Mia! has captured the hearts of audiences across the world. Including ABBA classics such as "Voulez-Vous", "Waterloo", "S.O.S" and "Dancing Queen", this hit West End musical has entertained London audiences since 1999 and continues to do so worldwide. Mamma Mia! is a family-friendly show, recommended for those aged 5 and up. Under 4's will not be admitted. Love your storyline and typo of dairy. Diary? I have limited mobility (not wheelchair) and from the time we arrived for the Saturday Matinee I was treated with the utmost respect and friendliness. From the doorman who checked our bags and tickets, the staff member who walked us to the separate entrance, and the staff member who took us to our seats in the stalls. They were a credit to your theatre. We thoroughly enjoyed the show, ages 68, 44 & 13yrs . I'm not sure the people in the train carriage on the way home thought our singing was up to professional standards though! We went to see this as an early birthday treat and a guilt pleasure! It was fab. I really enjoyed the film but it's much better live. It's been going since 1999 and you can see why people still love it. The only problem I had was that it was full of hen parties, which I understand but some of them were particularly tipsy and got a bit raucous towards the interval. I didn't mind too much but at times they were a right pain! I enjoyed dancing in the aisles at the end though. It was an amazing show! I'm so impressed!!! This is the best show which I have ever seen! The actors are the best of the best! Thank you very much!!! I have seen Mamma Mia twice - the first time was really fun, fresh and entertaining. The second time however I felt the show had lost a bot of its sparkle. The actors on stage seemed to be going through the motions and I was sick of the Spanish people next to me who talked throughout all the acting but BELTED out a the songs during the musical numbers. However I guess the ABBA music is what this show is good for. Other than that, it's a bit flat.